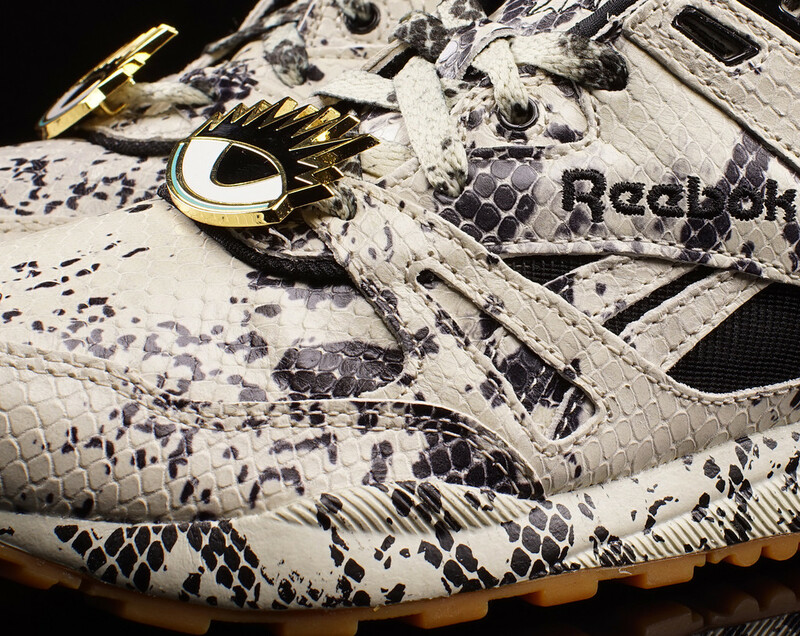 Snakeskin and super gaudy lacelocks. 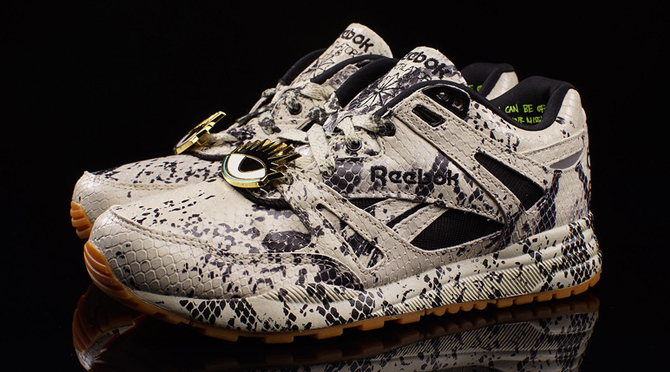 As this year is a big birthday one for the Reebok Ventilator, there are going to be a multitude of collaborative efforts for the shoe. 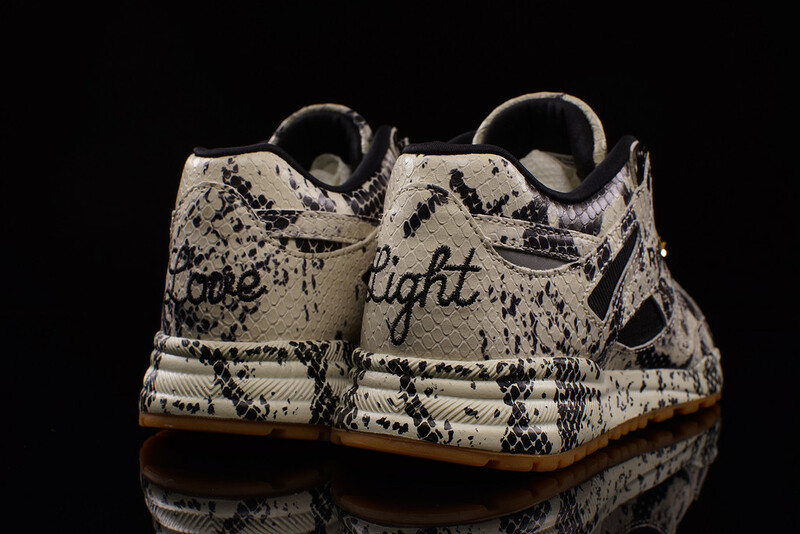 There have already been some pretty daring pairs four months in, but none of them have gone as far as this Melody Eshani joint to push boundaries. 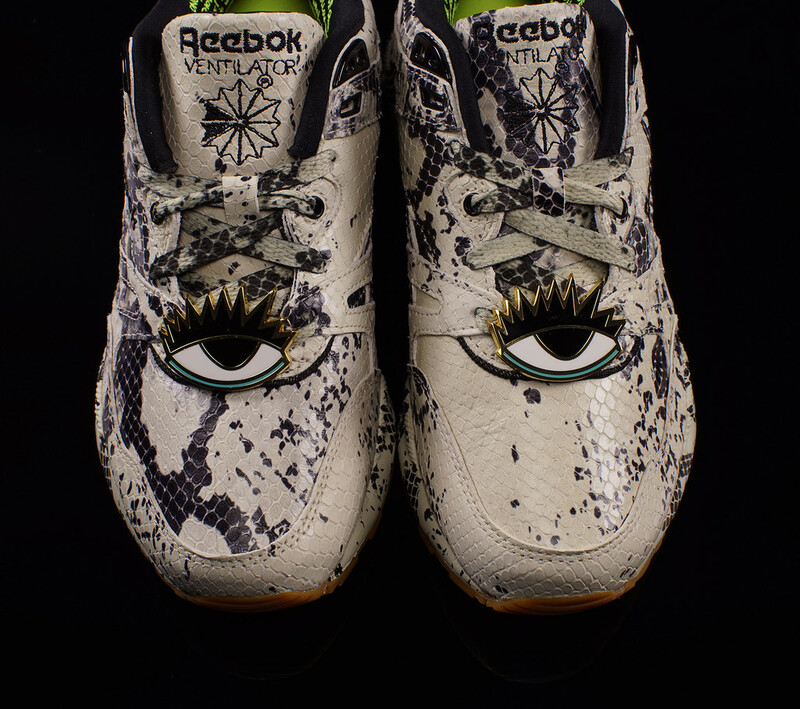 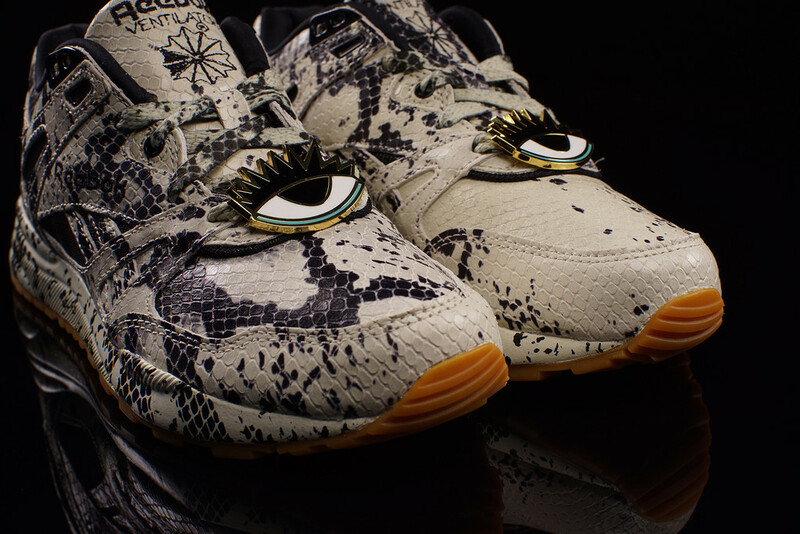 The sneaker has an aesthetic similar to previous Melody Eshani Reebok creations and has an all over snake look, gum bottoms, embroidery on the heels, and massive eye-shaped dubraes. 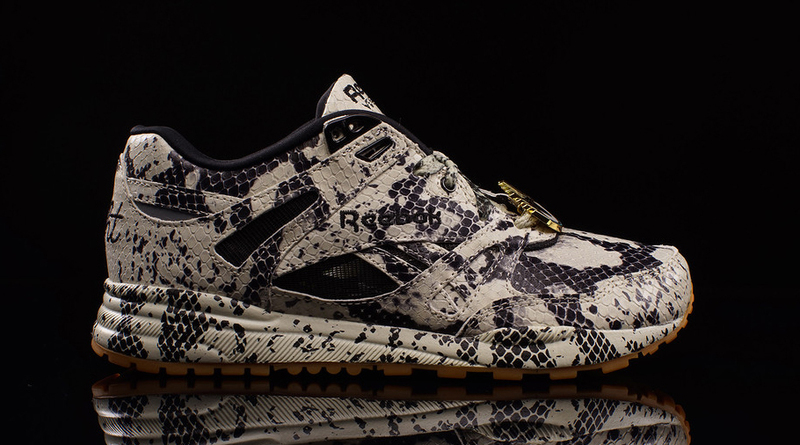 The Melody Eshani x Reebok Ventilator is available now at Reebok accounts including Oneness.